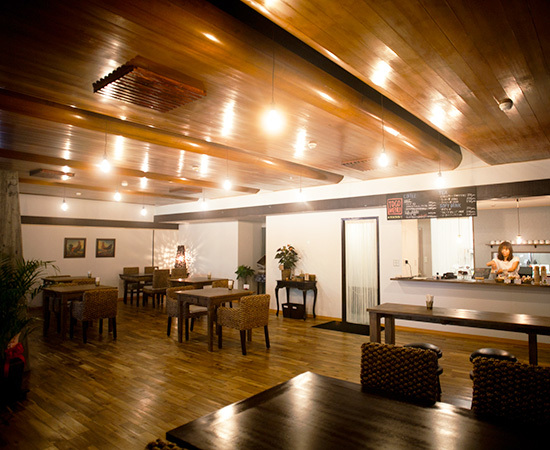 Cafe Ayam provides a daily space for healing and comfort of life that is based from modern Asian style. The word "Ayam" in Indonesia means "Chicken" and the motif of our cafe is based on a cafe at a mountainous area in Bali. We also provide Free-Wi-Fi and Free-Recharging service. Aside from savoring our delicious foods, sweets and the drink services, you can be leisurely relaxed in our cafe. You can enjoy our cafe as a starting point of sightseeing for Ryugado cave and a relaxing place on your day off. Also, the power plugs are available at some of our tables, so you can use them for your work or study. Do you know "Tosa-jiro", the famous native chicken that Kochi Prefecture is proud of? Tosa- Jiro is a chicken that has a unique name and lays lively egg. 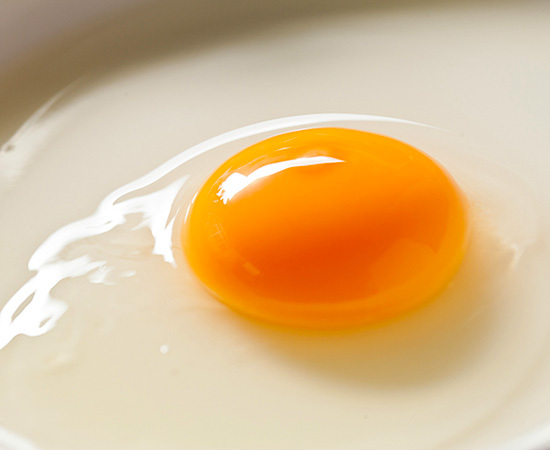 Its egg is a little smaller but once you try the rich tasteful yellow part, it will take you hold and never let you go. Pasturing is the basic way to keep Tosa-jiro so the roosters and the hens get along and run around well, and then eat wild grasses and the soil to grow healthy. Also, they are mainly given with natural feeds produced by the association（※2）, vegetables, fruits and natural foods, something like creatures under the ground, their eggs will be safe and tasty. .
※1 Eggs from other farms in the same prefecture may be used during the peak season. Ingredients that special attention was paid to its taste and safety. At our cafe, to use the value of the fresh and safe egg of Tosa-jiro, we basically use local and safe foods in the country. Our cheese, processed meat and seasoning are produced from a place where we can guarantee its safety and standard, so you can enjoy it with security. 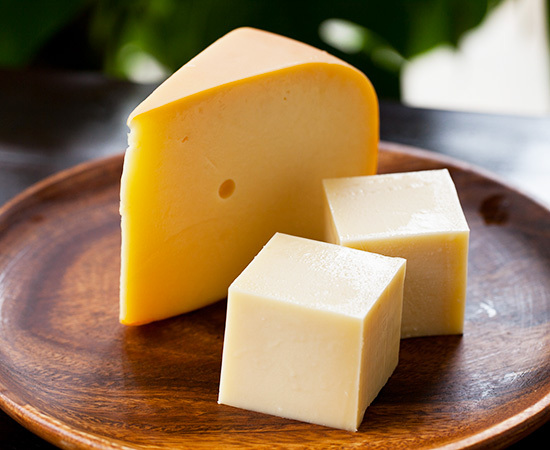 Cheese : made on Switzerland, Netherlands and the U.S.
Do you have an image that chicken is scary? It's partly true but not entirely correct. Some roosters are aggressive because they are trying only to protect their group are certainly, but there are hens that are generally gentle. There are hens that can be kept inside the room, "Petit-cocco", and they have been working as our staff at our cafe. Since they take shower and wear a diaper, they are very clean. They are surprisingly friendly and sleep peacefully on the lap of a person who holds them for the first time. The staff who is a member of Kochi prefecture Japan chicken preservation association will explain to you about its fascination. You will definitely discover something new and be interested in it.